* Hear stories of real historical events from Metamora's past. Some are sad, some tragic, and some are even a bit humorous. Here is your chance to experiece the paranormal side of this historic town for REAL ~ feel it, hear it, and maybe even see it...the presence of those that walked Metamora before us. We will be leaving from the Meeting House Antiquesbuilding.Please be at the Meeting House 15 minutes prior to the walk. Wear comfortable walking shoes and dress appropriately for the weather.We don’t want you to confuse the goose bumps on your arms with chill bumps! Will you be the one who captures our best evidence yet? Maybe! Come and try your skills as a paranormal investigator! 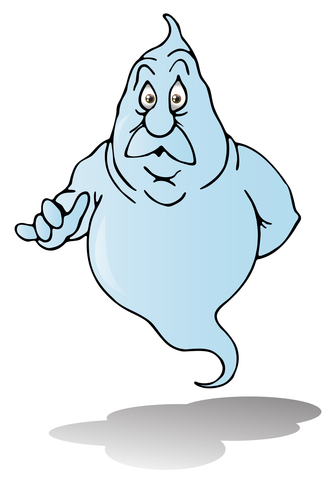 (Don’t forget to bring your digital camera, video camera, voice recorder, or even your SmartPhone with Ghost Hunter Apps. There are lots of great apps available, but be sure to read the reviews before you download them. NOTE: You might want to include extra batteries, as we have had situations where cameras, cell phones and other electronic equipment have all gone dead simultaneously). We have had outstanding reviews on the past ghost walk/investigations that we have done, and they just seem to be getting better and better! Admission: Tickets will be available at the door on the night of the walk. Admission is $15.00 for adults and children age 13 and over, and $8.00 for age 12 and under (All minors MUST be accompanied by a parent or responsible adult. Not recommended for children under 8 years of age.) Cash or check only (no credit cards). No reservations will be accepted. Walter says he would really like to meet you! Metamora Ghost Walk Tours: A REAL Paranormal Experience! Do you see or feel spirits? Join us for a Ghost Walk Tour in Metamora, Indiana, a National Register Historic District; as we explore the area in search of spirits (those who loved this town and have lingered on). Take a lantern-led evening stroll through one of Franklin County’s oldest towns and discover our ghosts and legends. Learn how to capture paranormal phenomena on your digital camera, as well as about other tools that can be used to capture voices, changes in temperature etc., plus, learn how to use your own senses, and especially your sixth sense to detect the presence of ghosts (a great EMF, EVP tool is an app for SmartPhones called Ghost Hunter All In One, which can be used right from your phone to detect changes in electromagnetic frequency and can capture and analyze electronic voice phenomenon). 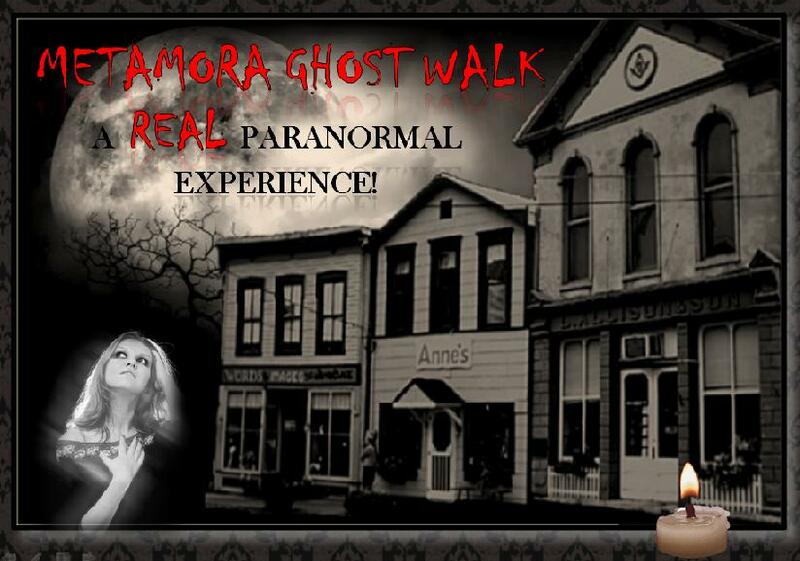 At the end of this guided tour, there will be a showing of “Metamora Ghosts Caught in Action” at Meeting House Antiques. Here is your chance to feel the presence of those that walked this earth before us, and hear the ghost tales from several of the “living” residents of this quaint historic town. We will be leaving from the Meeting House Antiques building. Please be at the Meeting House 15 minutes prior to the walk. Walk goes on rain or moonshine. Wear comfortable walking shoes and dress appropriately for the weather. We don’t want you to confuse the goose bumps on your arms with chill bumps! (And don’t forget to bring your digital camera, video camera, voice recorder, or SmartPhone with the Ghost Hunter All in One App). Master Psychic Victor Hugo will be available throughout each tour for guidance and spiritual questions, and will also conduct a sage smudging to remove any unwanted spirit attachments. 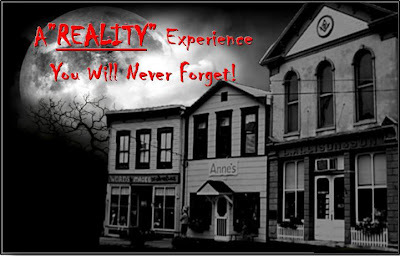 Notice: This is a private event sponsored by the Whitewater Valley Paranormal Society, and is in no way affiliated with the Merchants Association of Metamora or Historic Metamora, Inc.
Update - 10/29/2011: The ghost walk was great on Friday night. We had a lot of interesting energy that was captured by cameras. Everyone was showing other group members what they had on their digital cameras, and they were really excited! We can't wait to see what everyone gets tonight. We urge everyone to share their photos, experience etc. with us by emailing them to whitewatervalleyparanormal@gmail.com.